Has your pump started leaking? Sometimes a repair can be costly so we understand that you might want to tackle this repair yourself. For some, it's easier to just replace the entire pump or transmission. That's why we sell genuine Hydro Gear replacement pumps and factory built transmissions to make your life easier -- simply remove the old one and install the new part. Feeling adventurous? Hydro-Gear transmission and pump rebuild parts like seals, gears, fans and rebuild kits are what we specialize in. We carry the Hydro-Gear transmission and pump rebuilding parts you need to get that trans-axle or pump back in action fast! Not sure what you're looking for? 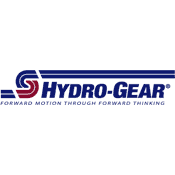 Browse all genuine Hydro-Gear parts here. Stuck with your repair or can't find the right pump part that you're looking for? Contact our expert staff at 800-937-7279 and we'll help you find the component or replacement part that you're looking for.